For whatever reason, I have noticed over the years that art and music teachers seem to get more than their fair share of misbehavior in their classes. I suppose the children regard these classes as a time to let down and blow off steam after sitting immobile in a classroom writing, reading and generally keeping their youthful energy in check. Still, there are ways to achieve smoothly running classes for music teachers, regardless of the ages being taught. While my classes are by now means perfectly behaved all the time, I would like to share some of the things I’ve found work well to keep kids engaged and on-task. This is the result we want; for our students to be invested in what they are doing, so their attention doesn’t turn in other directions. There are three things I try to do every day that I have found are most important in having a well managed classroom. These are, good relationships with my students, making my expectations for them clear and stating them often, and starting with enduring understandings, not song titles, and using music that is relevant to the students to teach those enduring understandings. I will discuss each of these presently. For years I have heard from other teachers, many of them at the time more experienced than I, that you begin strict, and don’t ever smile until December. It’s easier to let up from strictness, than to begin lenient and then become more strict. There may have been a time when this worked, but not anymore. That kind of sternness just puts kids off, leaves them with the impression that you don’t like them or that you’d prefer they were not in your class, and fuels resentment that easily turns into negative behavior. While there must always be a distinction between the student learner and the sage/experienced teacher, that distinction can easily be maintained when the teacher-student relationship is friendly and caring. Students just respond better to a teacher who has shown that he/she genuinely cares for them and is on their side. Greeting each child at the classroom door with a smile and by name will get any class off to a better start. Smiling, and noticeably showing that you are enjoying teaching them will keep things positive, fun and managed well. A principal I once worked for put it like this: you must be intellectually superior but socially equal. He did not mean a teacher should hang out with students as if he or she were a peer; he meant that the relationship between student and teacher has two dimensions–a scholarly one with which the teacher brings knowledge and experience to bear, and a social one with which the teacher demonstrates sincere commitment and concern for each student. To demonstrate this, a music teacher might go to a basketball game in which his/her students are playing, or attend a fund raiser students are sponsoring. But now, my closure drawing is different. “For those of you that learned an entire instrumental part today, well done. Next time, combine with someone else who has finished a different part from you, and combine with them to start practicing in an ensemble. To those of you who started getting a part, but can’t play the whole thing yet, continue to work on it. We can simplify the part if you need to, and I will work with you next time. There were also a few of you who didn’t make an effort to accomplish much of anything. You need to get going. Not making a good effort is not acceptable. You chose the song you are working on, you need to prepare it for presentation.” Do you see the difference? There isn’t much wiggle room anymore. All are accounted for, and new expectations are set even before they leave for their next class. The other day, I had a sixth grade class state one thing they were going to try to do well during music class that day. It was very insightful for me, because some students stated tangible things, like listen better, sing better, or sing more in tune, while other students said very general things, like get a better grade or do better. I told them that while there is nothing wrong with wanting to get a better grade, in order to succeed at that, they must know what they are going to do that is going to result in getting a better grade. This was the moment of truth for me. If they couldn’t tell me what would get them a good grade in my class, then the blame would be on me for not making expectations clear. I was relieved to hear them say, when pressed, that they were going to focus on the speaker, and sing more (focus on the speaker is something I stress; whether it is I or a student who is asking or answering a question, one person speaks at a time and all eyes and ears go to that person. The bottom line here is, when kids have something specific to accomplish they are much more engaged than when the expectation is not well understood. The third item is starting with enduring understandings, not songs. What I mean by this is that music class can easily just be singing songs. While singing songs is fun, and many a fine concert can and has been prepared just by singing or playing repertoire in rehearsals, students also need to be engaged in learning activities that require them to use critical thinking skills, create musical works and interpret their own works and those of others, learn about music and how all the musical elements are used by creators to convey an expressive intent, and how music relates and connects to the other arts, the other disciplines, the student’s culture and his/her personal life. These are articulated in enduring understandings, not in the repertoire. The repertoire is used as material with which the student works in the process of acquiring deep understandings of music and the arts and of becoming musically and artistically literate. This kind of deep learning is the only kind that will produce students who are equipped to fully enjoy and benefit from music and the arts for their lifetime, regardless of the profession they work in. Students sense the shallowness of just singing or playing songs, and will often not continue musical study if that is all they have received in music classes. On the other hand, they are drawn in to deeper learning as they realize the many dimensions of thinking and doing that are utilized when enduring understandings are pursued. Giving priority and attention to these three items, good relationships with students, making expectations clear and stating them often, and starting with enduring understandings, not song titles, will improve the classroom management of any music teacher. Attending to these things won’t solve all your problems, but it will certainly solve many of them. Today I am starting a series of articles on planning instruction. These articles will include lesson planning, unit planning, classroom management, assessment, and student engagement. Each of these areas is critical to student success. Making classroom management and strategies for student engagement part of lesson and unit plans is particularly important, and sometimes overlooked. Unit planning keeps individual lessons coherent and well sequenced, and provides a logical connection from lesson to the next. This is especially important for music teachers who see their classes once or twice a week. Unit plans help students carry over learning from one class to the next, even when there is a week or several days between classes. Even the best of lesson plans will fall flat if the classroom environment is not conducive to learning, so I will start my series with classroom management. By classroom management, I am referring to the management of everything under the teacher’s control that affects the learning environment. Classroom management includes managing student behavior, the arrangement of furniture in the classroom, eliminating distractions such as unwanted noise, uncomfortable temperatures, interruptions, and so forth. A well-managed classroom is one in which all of these types of things are controlled within the procedures and expectations the teacher sets up and practices with students. Just as students need to be taught how to sing or play an instrument, they also need to be taught how to behave, move around, and interact with others in your classroom. With this in mind, here are some specific things you can do to manage your classroom well. State clearly defined classroom guidelines at the beginning of the year, and review and apply the guidelines and expectations consistently. I am much better at the first part of this than the second. Most if not all teachers state their classroom guidelines at the beginning of the year, and most if not all students follow those guidelines for the first month and a half or so of school. Beyond that, students begin to test how much they can get away with, and teachers often respond with a verbal reminder of the guideline, and then a negative consequence for not following the guideline. This happens for one or both of two reasons. The first reason is that the students don’t have any reason for following the guideline except that you told them to. Students will perform any task with greater consistency and proficiency if they see the value for them in doing the task. 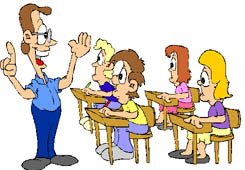 All classroom guidelines are for the benefit of each individual and for the group. If you have a guideline of “respect your classmates and your teacher,” then you need to teach students what respecting a classmate and what respecting you looks like, give them opportunities to practice showing respect to others, and give them supportive feedback on their showing of respect, just as you would given them feedback on a musical performance. You also need to point out the greater success, enjoyment, and satisfaction they experience when they are respectful compared to when they are not. Once they have learned this, you will still need to revisit the lesson periodically throughout the year. Continue to reinforce instances of doing well at respecting others, and continue to correct instances of disrespect by modeling and reteaching a respectful alternative to what the student has just done disrespectfully. If you have followed the previous advice, maintaining a positive atmosphere will be a lot easier. With your emphasis on how things should be and how things are going well, there will only be a minimum of times when things turn negative. In managing guidelines well, you have established an environment that students naturally prefer. For some, being in a class where there is respect for everyone will be life changing and extremely appealing. Students will begin correcting themselves and each other when someone does something disrespectful. They will become defensive of the respectful classroom environment. Your preferred response is always to stop disrespect before it can go anywhere, and to redirect the student to choosing the respectful way, or to a “do over” that includes an apology and a second attempt, this time doing it the respectful way. Most students want attention, but given the choice, most would prefer to be noticed for something good rather than something bad. There will be times when a student just insists on violating a guideline, and will not allow him or herself to be corrected. That’s when consequences must be imposed. But even the negative consequence of a time-out, reflection, or referral to administration is handed out in the context of something the student chose for him or herself, and not something that you are “doing” to the student. You and the rest of the class have worked hard to create a supportive, positive, respectful environment, and you want every student to maintain that environment. When it is necessary to give a negative consequence, it is to teach the student to make a different choice in order to avoid being removed from something better than what they have now gotten for themselves. We want to teach the student, by way of the negative consequence, to make a positive choice going forward. Build time for student input and class meetings about conducting the class. There was a time when I would have bristled reading this one. After all, I’m the teacher, I’m in charge, students have to do what I say, not the other way around. While that all is true, we can learn a lot about our students by listening to what they have to say about how the class should be run. Many teachers elicit student input when drawing up their classroom guidelines at the beginning of the year. I like to guide students in this by having them answer specific questions. For example, “what can someone do to show that they are respecting you right now?” A question like this will generate a list of answers, such as “listen to me when I’m talking,” “don’t insult me,” “give me my space,” or “don’t touch my things.” These are all actual answers I’ve gotten, and they are all teaching points for the class. I write them down on poster paper and keep them displayed on my wall. Beyond this beginning of the year activity, it’s a good idea to periodically ask a class, “how are we doing at maintaining our classroom guidelines?” “What are we still doing well?” “What has slipped and needs our attention?” All of this feedback from students lets you know exactly where you are, how they are viewing the fairness and effectiveness of what you are doing, and establishes and reinforces ownership in a well managed classroom. If changes need to be made to the guidelines, these meetings are a good time and place to do so. I will return to this one in other articles, but for now it is sufficient to say that when a learning task is not well matched to a student’s ability or learning style, that student is going to loose his or her way. If you are teaching music writing to second graders and they are having trouble drawing a circle between two lines, revise the task so that they are placing a plastic or paper disc between the two lines instead. If you are teaching improvisation on a mixolydian scale, and a student is overwhelmed by having to choose from seven pitches, let him or her improvise on the pentatonic scale first. Students act out when they are discouraged, frustrated, or embarrassed, all of which are natural reactions to failure. Design the task to it fits the student, and their success at following the classroom guidelines will stay on track. In the next article in this series, I will look at planning and presenting a lesson. In many ways, teaching from March to June is the most challenging time of the year. It is the period in which students are overwhelmed with state mandated testing in the wake of NCLB, the period in which students and teachers tend to be burdened with colds and flu, and the period in which teachers become increasingly focused on seeing that their students meet their instructional goals for the year. In addition, as the weather improves coming out of winter, students (and dare I admit it, teachers too) become increasingly restless to be out of doors when they must continue to be in classrooms, and anticipating the approaching summer recess. With all of these challenges and distractions, it is especially important to have all the pieces of our teaching and classrooms in order and functioning efficiently and smoothly. Today I would like to share with you what I am doing to maintain, as much as possible, a smoothly running classroom. I must remind myself that whatever behaviors I expect my students to exhibit, they must be taught how to behave that way. It is not enough to expect students to “listen and pay attention.” Those actions, “listen” and “pay attention,” don’t mean what they used to. Students can be having a conversation with a peer and at the same time truly believe they are listening to you as you teach. Surprisingly enough, often a student who appears to me to not be paying attention will proceed to answer my question or restate what I had just said. Still, critical thinking and long-term retention suffer if the student is not giving his or her “undivided attention” to the teaching. So students must be taught how to do things that we may assume they already know how to do. These things include giving and continuing to give attention and following directions. While there is an element of interest involved in both of these, students need to know what you expect these things to look like. For example, are students following directions if they begin working on an assignment ten minutes after you asked them to begin? Are they giving you your attention if you have to ask for it a dozen times? If students are doing group work, they must be able to talk to each other within their groups, but how how loud are are they allowed to be as they talk? If we don’t make these things clear, and in many cases don’t provide opportunities for students to practice, we will not observe our students doing what we expect. You will have a hard time finding success at having students practice being quiet if you try the old “put your heads down and remain silent” routine. This approach is too confrontational to be of any lasting benefit. Even if they comply, they may resent being treated so punitively, and will likely be just as noisy when the silent time is over or when they come to class next time. It would be much better to make it fun. Here are two games I’ve had success with. The first is for students to practice giving me their attention either at the beginning of class, or at a transition when new directions or teaching need to be given. I tell the students I just want them talk to each other for 10 seconds. After ten seconds, I will give the “stop” signal by raising my right hand. When they see me do this, they will also raise their right hand and give the “stop” signal and will make themselves silent within two seconds. The first person to become silent and show the stop signal will become the next leader. Students love being the leader all their peers follow, they try very hard to be the first one. The leader watches the class carefully and is the sole determiner of who was first. When they get good at that, I introduce them to another hand signal I call “continue giving attention.” This is the same as the stop signal except that the arm is now bent 90 degrees at the elbow instead of extended overhead. Now the students must be the first to give the stop signal and be silent, and they must maintain silence for an additional 5 seconds. During actual instructional or independent practice time, students who are ready to report to the class or perform can be given license to stand and give the “stop” signal to get the attention of his or her peers so that the presentation can begin. This provides an incentive to be the first individual or group to be ready with completed work. The second game is for students to practice following directions. It is similar to “Simon says” but without Simon. I give a series of directions like “stand up” “walk around your chair” or “raise your left hand” and the students must all follow the direction immediately. At some point in the sequence I will slip in what I actually want them to do, and before they realize it, they are following directions with excellence. Although it sounds like these games solve all of my behavior challenges, they do not; but they do result in improved student behavior and efficiency in my classroom, and so are well worth doing. They are adapted from a book I have found very helpful, Conducting Conduc by Doug Sorenson. These games, and other methods of teaching students how to meet your behavior exceptions must be accompanied by teaching students why you have these expectations and what positive things will happen if everyone follows them. Most students, even the chatty ones, want a smoothly run classroom. When god behavior is the norm, and those few remaining students must be outliers in order to continue not meeting your expectations, they too will usually “come along.” There will still always need to be punitive consequences for those few students who simply will not cooperate, but much more time will be spent teaching and enjoying teaching when students understand and are equipped to meet your expectations. Another resource I have found helpful in managing my most difficult students is Smart Classroom Management. It is a website by Michael Linsin. Sign up for his newsletter and get weekly tips on classroom management from his books. I have found all of them to be good advice. A school classroom is a complex environment. There are many students in a room together and within that group of students their are varying interests, abilities, attitudes, and life circumstances, all of which impact what and how students learn. Imposed on these classrooms of students are expectations that every student can succeed, and every student can achieve college readiness by the time they graduate from high school, even if they all don’t want to go to college. While this view of public education can be debated, it is not my purpose to do so here. Instead, I will discuss strategies that can help teachers, all teachers, not just music teachers, be more effective. The first strategy I’d like to discuss is to allow each student to learn in a way in which he or she is most comfortable. Traditionalists may view this as giving students too much control, but some students simply can’t learn the way some of their teachers teach. Let me give you an example. Yesterday, I taught a lesson on generating musical ideas from five given rhythms. Students copied five one-beat rhythms from the board onto paper, and then were given the task of arranging them in any order they wanted, including repeating rhythms, so that they formed an eight beat rhythm they liked. They worked in small groups. After the groups completed their 8-beat rhythm they played it for another group. The other group then had to take the rhythm played for them, and develop and extend it using unity and variety. I did not specify whether or not they had to write anything down, or what form their work would take except that they needed to be able to play their rhythm made out of the five rhythms provided. What I got was a fascinating variety of learning styles. One student copied the rhythms arranged in her desired order onto a single line, and then wrote rhythm syllables, but not the ones I had taught her, under each note so that she would know how to play her idea. Other students just wrote out the notes with no rhythm syllables. The original five rhythms were numbered 1-5, so , some students wrote the numbers of the original rhythms in the order they wanted them. These students discovered that looking back and forth between their numbers and the notated rhythms made playing eight beats at a steady tempo difficult, and subsequently went back and wrote out the rhythms in the order they wanted. By allowing the students to use whatever format they chose to accomplish the task, I got completed work from all but two students. Compare that to another lesson with the same class when I required that everyone use the same format, and received completed work from only a little more than half of the students. Offering students multiple ways to learn is a key strategy in keeping them engaged and motivated to learn. The second strategy is to provide procedural structure to everything you have your students do. On the surface, this may sound like a contradiction to the first strategy, but it really isn’t. The first procedure addresses how to learn, whereas this procedure addresses how to work. I start each class with a “do now.” The work they do for the “do now” usually will carry over into the lesson. In the first strategy, the “do now” was to copy the five rhythms from the board onto paper. When students come in, they know where to go to get paper, a pencil if they need one, and they know to look on the board for what to do, with little or no help from me. I set a timer, and when the time is up, papers are collected, whether they are done or not. Incomplete “do now” work lowers the student’s daily grade. This time limit is essential; it teaches students to complete work to a deadline, and it assures that what is essentially a warm-up activity does not drag on into what should be more substantive instructional time. Drums out when you’re not playing, drums in when you are asked to play. Respect the drum and each other. Respond only in a way that is appropriate to the activity you are given to do. Listen before and while you play. When I need to give instruction or directions, drums are moved away in front of the student. When they are going to play again, they move their drums back into playing position. This kind of structure does not prevent students from learning in personalized ways, but it does keep the class moving smoothly, and the activity organized and efficient. The third strategy is to provide feedback that is consistent and personalized. Getting the balance right between these two can be challenging. Rules and procedures apply equally to everyone, but not everyone is capable of following them with the same precision. Just like with learning, personalization is needed. Some students have learned how to handle their emotions, words, and actions, and fall into lapses of bad judgement. For these, reminders of what they should have done, and a “do-over” to reinforce the right way is effective and appropriate. Others have not learned how to handle their emotions, words, and actions, and must be taught empathy, self-control, and how to get help with a situation they feel they are not equipped to handle. I like to acknowledge progress these students have made and then give instruction for further improvement. Because personalization can be seen as inconsistency, I try to be clear about my motives and goals when responding to a student in a way they perceive to be unfair. In the end, if you keep each individual student as a priority, even over content and test scores, the whole learning process will nearly always succeed. Classroom management is part of good teaching in any discipline. Because of the more active nature of music activities, it is especially important in the music classroom. In general, students who know what they are expected to do, how they are expected to do it, and why they are expected to do it, will be better behaved than students who don’t know or are unclear on any of these three points. Smoothly run class starts with established entry routines. Students, particularly adolescents, need to understand that they are in your class and that they have a place to be and a way to behave and function while they are with you. With older students, I like to have written work waiting for them on their chairs (I don’t have desks or tables) when they arrive. This shows them that there is something they are expected to do right away, and that there is nothing for them to wait for before beginning their class work for that day. The very presence of the paper indicates there is work waiting for them, which is infinitely better than they waiting for work. My classes begin with a statement of the objective, and how each activity they will be engaged in relates to the objective. Students are more focused on the lesson if they understand that they are working step by step toward the stated goal. I don’t want them to think that after they have finished the first activity, they are done for the day with time on their hands. I use a series of activities so that they have a sense of accomplishment and of progressing at the completion of each activity without thinking they are finished. Having a series of activities also helps me differentiate. Students who need more time or help are not locked into an all or nothing situation, but have the opportunity to demonstrate understanding and work on and complete segments, even if they don’t reach the end that day. Students who don’t complete all their work still can leave having finished something, and with an understanding of what they did. That learning can be carried over to the next class, or if I think the student is ready to work more independently, I will assign them to finishing for homework what others finished in class. Most students are appreciative of this opportunity, because it puts the focus on successful learning, and not on receiving a poor grade for not finishing and then going on to the next class only to start something else they may not understand. The best way to achieve good classroom management is for students to experience success. It is a fact of my teaching life that all of my students are not interested in everything I teach them. Because of this, I find it necessary to offer incentives for them to complete some work. For example, I have three 7th grade students who are highly unmotivated in music, but who would spend the whole day in the gym shooting baskets if they could. I have arranged with the gym teacher to allow these students to go to the gym for the last 15 minutes of my class if they have correctly finished the assignment I gave them. For my part, I accept what I consider a reasonable amount of work for 30 minutes. This “deal” has resulted in these students accomplishing more in thirty minutes than they were accomplishing in forty-five minutes of music class. Other incentives are sometimes concert tickets to reward high achievement. while I do not agree with working for rewards in place of intrinsic rewards of accomplishing excellence, with some students this does result in more effective learning, and so is worth employing. In the end, achievement and success are worth the means. Such arrangements also place a clear goal in front of the student, and give them something tangible to work for. Whenever a student does well, I make it a point to commend their achievement, and the effort they put into achieving what they did. It is important for students to connect effort with achievement; when they put in the effort, good things result. Staying positive also helps me build relationships with my students that encourage cooperation and respect, and avoid adversarial situations. With all of the emphasis on testing in schools today, teachers are often forced to give too much attention to what is taught, which is what will be tested, and not enough attention to how to teach, and where to teach. 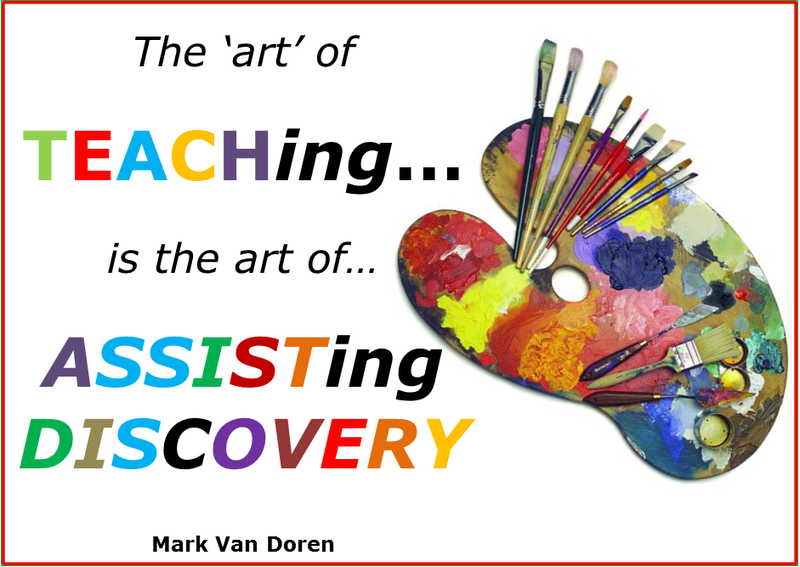 By where to teach, I am referring to the learning environment that teachers and students establish in a classroom. By how to teach, I am referring to the strategies employed by the teacher, including what the teacher does and what the teacher expects the students to do while they are in his or her classroom. The National Association for School Psychologists have published a handout which briefly describes strategies for effective classrooms. I have reduced their publication down to an outline. To view the outline, click on the link at the end of this post. The strategy includes three general areas of focus: teaching students how to be responsible, creating class harmony, and developing positive teacher-student relationships. One of the consequences of American culture and family structure is that children, for whatever reason, often do not learn ow to live responsibly. This may be due to an absence of role models, overwhelming negative influences of culture and media, an over use of electronic media at the expense of developing social skills, or any number of other factors. In the classroom, students struggling to exercise self-control have difficulty making good decisions, which negatively impacts their communication and social skills with peers and adults. When these problems are dealt with in a predominantly punitive way, students become further disenfranchised from the educational system, and slide deeper into discouragement, lack of confidence, self-identity crisis, and disengagement with their education. True self-worth is gained through substantive, self-evident success, and supportive relationships with peers and teachers that validate the person in sincere and believable ways. Students must feel like they are more than objects in a class, or widgets in a machine. When students are treated equally but impersonally, it is natural and easy for them to get lost in the crowd, and disenfranchised from most people who are trying to find entry into their life. The outline below gives tangible and practical ways teachers can develop and maintain productive, personalized classroom environments. I think that, like our students, we teachers all have our strengths and weaknesses. On the outline, I find my weakness is relationships. I have been working on this part of the outline during the current school year, and am starting to see positive results. I recommend that if you are a teacher, you look at the outline and find your weakness, and work to improve in that area, and also look for your strength and continue to build on that. As much as we might want it to be otherwise, teaching music does not just involve teaching music. Because we are teaching children and teens, we must sometimes or even often teach our students non-music specific life skills so that they will be equipped to learn music. One of the most challenging areas for many children and teens is understanding and managing personal emotions. So many of our students, live on the edge emotionally. They are volatile, and can be set off at only a slight provocation. If we are completely honest, we were the same way when we were that age, and even now can fall into emotional disarray as someone may “push our buttons.” Many methods and techniques have been advanced to successfully deal with youthful emotions and their ramifications, many of which have merit and practical value. I would like to discuss one that I find particularly helpful, Rational Emotive & Cognitive-Behavior. 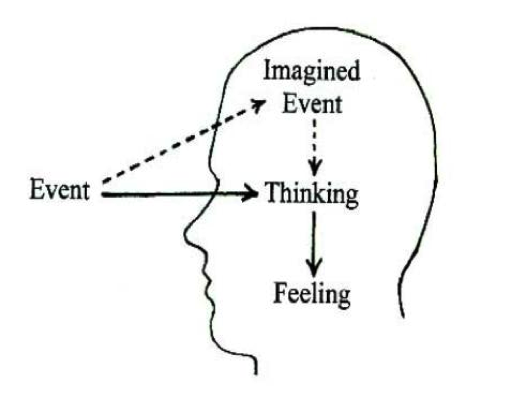 Developed by Dr Albert Ellis, it is a theory in which Dr. Ellis stated that, “it is largely our thinking about events that leads to emotional and behavioral upset. With an emphasis on the present, individuals are taught how to examine and challenge their unhelpful thinking which creates unhealthy emotions and self-defeating/self-sabotaging behaviors.” Though used in a clinical setting to treat emotional issues, the principles found in the theory are helpful tools for teaching students how to manage their emotions and emotional excesses. feelings result. Depending on the frequency, intensity, and duration, they lead to feelings of guilt, shame, depression, anxiety, all the way up to anger. By learning to think of needs as wants, necessities as preferences, and demands as desires, a person can lower emotional severity, changing anger into frustration, anxiety into concern, depression into sadness, shame into regret, and guilt into remorse. These less severe feelings are more easily managed and are less volatile and less likely to lead to upsets and serious disturbances in a classroom. Students with these more manageable feelings are able to respond, which involves thought, instead of react, which involves an impulse. Students can be taught to make cognitive choices at the thinking stage. These choices include how they look at what happens, what meaning they attach to what happens, what they focus on about what happens, what they compare things to, what they expect of themselves, others, and life, what they remember about the past, what they imagine will happen next, how much importance they attach to what happens, and what they spend their time thinking about. A tool to help students make good cognitive choices is to practice unconditional self-acceptance and unconditional other acceptance. Unconditional self-acceptance means that anything you think, feel, say or do is perfectly understandable given what your life experiences have been. Someone else who has gone through exactly what you have been through would probably end up thinking, feeling, saying and doing much the same things. This does not mean that what you are thinking is good or healthy, or helpful, and it does not mean that you should not change what you think, feel, say, or do. It does mean that given your life experiences, what you are now thinking, feeling, saying or doing is understandable. It is alright that you feel as you do now, and we are going to learn and work on feeling, saying or doing things differently because changing these things will be better for you. What Approach is Best to Handle Defiant or Whiny Students? During the course of my teaching day, I have many opportunities to prevent or respond to undesired behavior. Though no two children are identical, I have noticed that undesired behavior often can be placed into one of two categories: defiance or whining. Children who dig in and refuse to do what they are asked frequently have control of their parents and their households. In school, teachers know how to respond such behavior, and this frustrates the child, who then sometimes adds anger to the difiance. With children who behave defiantly, progress is slow, because even though their way isn’t working well for them, they don’t want to give up the control they enjoy. The slow road to improvement is paved with patience, in the face of unstable emotioins, kindness in the face of hostility, and caring in the face of a facade of uncaring. Many adults don’t realize that a child behaving this way has taken control out fear of not being cared for or liked; that the child really would feel more secure with the adult in control, but doesn’t yet feel secure enough with the adult, be it teacher or parent, to given up control to them. With children who have felt this way for years, the change may take months, or even more than a school year. There will be times when you will have to administer consequences for bad behavior, and even confront the student because of what they have done. But confrontation should be used sparingly if at all, because each time it is used, the child may question whether you really are on his or her side. I have two students in mind as I write this. Both were exhibiting the behavior I have described. They were given detentions, their parents were called, and they were in the school disciplinary system several times throughout the year. N ow, as the year draws to a close, both have softened up. Eyes that were scowling and angry are now less so and at times happy. They are more willing to be cooperative, and I am more apt to smile at them, have pleasant conversation with them before school, and feel good about the changes I see in them both. It wasn’t until I lightened my approach to them, after imposing strict discipline, that this change began to occur. students have learned that adults will do almost anything to stop the whining or even crying that comes up out of no where when situations aren’t to the child’s liking. These students often blame almost everything that has gone wrong on someone else. If they weren’t the cause of the problem, they surely become enablers of its continuance. They assume that if they just keep whining they will get their way. I tell these students in a quiet and calm voice that they are behaving badly, I will tell them what they did that was bad behavior, and tell them to stop fussing. They usually don’t stop right away, but at that point, I just walk away from them and go on as if they weren’t even there. When they see their whining is not having the desired effect, they stop. If I revisit their grievance, it will immediately start up again, and then it will stop as suddenely as it started when they again see they will get no where with me. In a relatively short time (at least compared to the defiant behavior described above) the whinnig will stop, perhaps saved for a more sympathetic adult. When the teacher remains calm and unphased, in control of him or herself even in the face of a students who are not in control of themselves, the teacher will almost always prevail. At times it takes all the humility I can muster and then some not to get angry, but there is power in self-control, steadiness, and an unconditional determination to always act in the best interest of the students I teach. It doesn’t happen that way every time, but that is the plan, and that is how it ought to be done. Much undesirable behavior can be prevented with a calm demeanor, and students will be grateful for your steady and sure hand on their situations.